Nudism in Portugal seems to be viewed in a more controlled way than its Spanish counterpart, for example you don t generally see nudists and non-nudists mixing freely on Portuguese beaches in the same way as you would on a lot of the Spanish beaches. The attitude towards nudism in Portugal is similar to the UK which is that there are a number of official nudist beaches in Portugal and there are many more unofficial nudist beaches where nudism is tolerated by the local authorities. There a number of naturist guest houses in Portugal that fully cater for an all-round nudist holiday and will have an outdoor swimming pool, sun loungers etc. Dependant on the style of naturist holiday that you wish to experience, and whether it is your first time or not, a holiday in a nudist guest house can be a brilliant way to meet new friends bearing in mind that you will be seeing the other guests on a daily basis. Also the owner of the guest house will most probably be naturists themselves, and will be fully acquainted with the whereabouts of the best local nudist beaches. If it is your first time on a clothes free holiday, and are a little nervous about what to expect, then perhaps a naturist guest house is not for you. Instead, head for a nudist beach, official might be best because you don t want the thought process of Is this legal to be adding to your nervousness, and normally official beaches are regulated so the chance of attracting unwelcome attention is minimised. 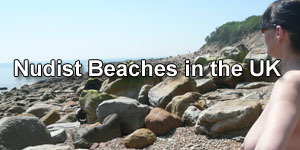 The official naturist beaches are quite varied and are scattered along the coastline. Island of Tavira (IIha de Tavira) between Olhao and Tavira. Just east of Faro along the N125. Very recommended, has expanse of white sand. Desert Island (IIha Deserta) on the most southern point of Portugal. You can get transport from Faro on a daily basis. Praia do Salto. This is near Porto Covo between Cerro da Agula. A natural sandy beach combined with a rocky terrain. Wonderful scenery, with weather protection from rock formations. A nudist haven. Alteirinhos, Alentejo, South of the Zambujeira do Mar. A beautiful mixture of natural sand and smooth rock formations make ideal place for first timers. Adegas is near the Odeceixe beach where the Algarve West coast begins. The cove is accessed by a slope and wooden steps. These are quite steep and daunting to anyone who is unfit, no good for disabled! You can avoide using these steps by accessing this beach from a nearby beach at Odeceixe. The beach is a mixture of sand rock and pebble. The tall rocky coastline can make it a serious sun trap. There are coast guards who keep watch daily.